Illa J, Kay Young & Slaughterhouse, Ghostface Killah, Pete Rock, First Division and more. Beat Junkies presents Soundcheck Ep. 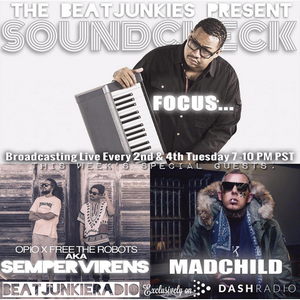 13 (8.25.15) w/ Focus..., Opio + Free The Robots = Sempervirens, & Madchild.